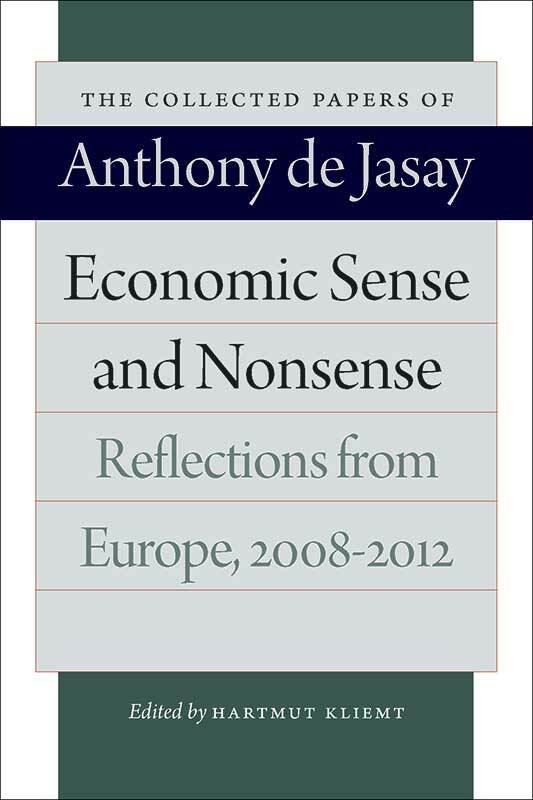 Economic Sense and Nonsense comprises a collection of sixty essays written by Anthony de Jasay for his monthly column “Reflections from Europe,” on Liberty Fund’s Library of Economics and Liberty website. The articles span the years 2008 to 2012 and focus on economic issues of topical concern in Europe. In this collection Jasay continues his explorations of a number of themes that he developed in his earlier articles, such as the importance of property rights, the role of contracts in economic activity, the proper limitations of the state, and the attitude of intellectuals concerning the regulation of the free market. With the outbreak of the economic crisis of mid-2008, Jasay spends considerable time discussing its origins, the reactions of governments in both Europe and the United States, and the ensuing euro crisis, thus adding another dimension to his analysis of the economic woes of the industrialized world.